The Aquasana EQ-SS20 SimplySoft Salt-Free Water Softener is a unique water softener because it requires no salt to change hard water to soft water. This water filter uses an innovative SLOW PHOS technology to change the ionic charge of the hard minerals within the water in order to avoid the minerals clumping together. This treatment of the minerals within water prevents rusted appliances or scale build-up. This SLOW PHOS technology will not get rid of the minerals within the water, but it also will not negatively affect the environment by adding sodium to the water supply. 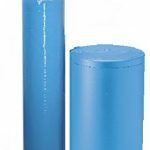 However, this water softener does remove the majority of chlorine from regular tap water and reduces other harmful materials such as heavy metals and pesticides. This water softener also removes viruses and bacteria from the water using UV Sterilight filtration. The Aquasana EQ-SS20 SimplySoft Salt-Free Water Softener is one the the five best water softeners available. Read our article on the best water softeners of 2017 here. Does not require salt to function. Dimensions: 14 x 5 x 23 in. UV Sterilight filtration kills 99.99 percent of viruses and bacteria within water. Comes with all the attachments necessary for installation, including brass fittings, sub-micron post-filter, pre-filter, bend supports, and shut-off valves. The flow rate of this water softener is 7 gallons per minute. Overall, consumers are satisfied with this water softener. About seventy-five percent of consumers give this water softener a positive review, but the negative reviews this water softener receives are nothing to scoff at.The positive reviews given to the water softener rave about its eco-friendly nature and its ability to soften water to an acceptable extent. Many consumers love that the water softener does as intended without disrupting the water pressure. However, consumers who leave negative reviews about the water softener admit that this water softener doesn’t live up to their expectations.While Aquasana states in the description of the water softener that it doesn’t create soft water but instead uses it’s SLOW PHOS technology to break up the minerals in water, many consumers still expect their water to be as soft as it would be when using a water softener that uses salt. These unrealistic expectations gave this water softener quite a few negative reviews.Another negative aspect of this water softener is that consumers are confused about where it needs to be placed within their existing water filtration systems. The directions don’t seem to be clear whether the Aquasana water softener needs to go before or after the pre-existing water filters or softeners. According to consumers, this system can either go before or after the pre-existing system, but some consumers seem to believe that the water softener will work more effectively if placed after the pre-existing systems.It seems that regardless of where this water softener is placed, it works effectively to prevent the buildup of scale and rust while protecting the environment from unnecessary salt deposits. 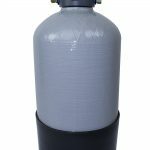 Can be installed as the sole water softener, or can be added as an upgrade to an existing whole-house filtration system. Does not use salt at all. Instead, uses SLOW PHOS technology to deionize the minerals within the water in order to have less environmental impact. 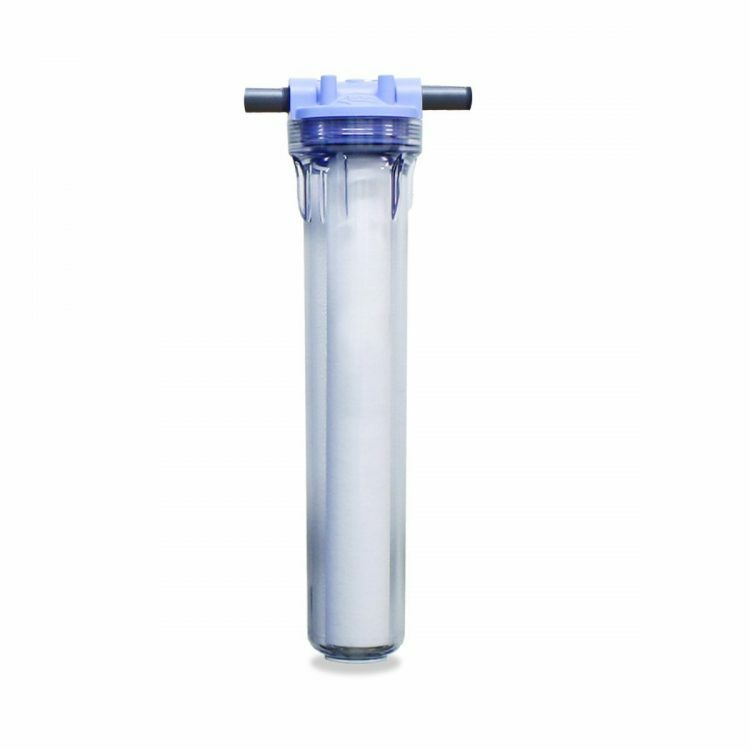 Has a small, compact design that allows for this water filter to be placed alongside other water filters for a more comprehensive soft water experience without taking up too much more space. Easy to replace water softener cartridges that need to be replaced every six months or 50,000 gallons. Creates water that tastes great, leaves skin and hair feeling healthier, and improves air quality within humid areas of the household (such as the shower). This water softener seems to have just as many advantages as it does disadvantages. Below are some disadvantages provided by consumers of this water softener. While water filter unit is inexpensive, replacement water softener cartridges get pricey (about $100 a replacement every six months). Water softener does not actually get rid of hard water; it just breaks up the clumps of minerals that negatively impact pipes and appliances. Sometimes confusing to install because consumers were unsure whether the water softener should go before the existing water filtration system or after it in the piping. Has a twelve month limited warranty, which is not as good as other warranties for other water filters on the market.